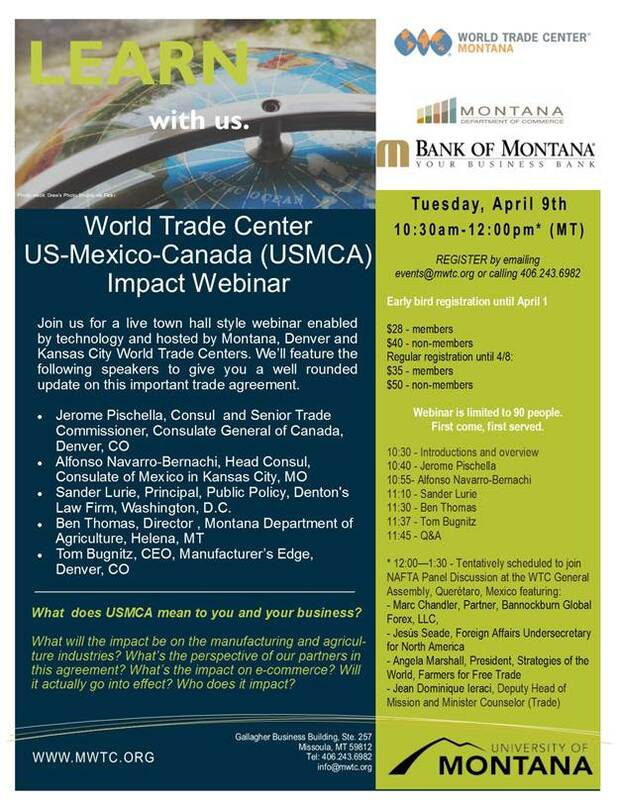 Please join us for a live town hall style webinar enabled by technology and hosted by Montana, Denver and Kansas City World Trade Centers. What does USMCA mean to you and your business? What will the impact be on the manufacturing and agriculture industries? What’s the perspective of our partners in this agreement? What’s the impact on e-commerce? Will it actually go into effect and who does it impact? Webinar. If interested ask about in person attendance *Limited Availibility* .